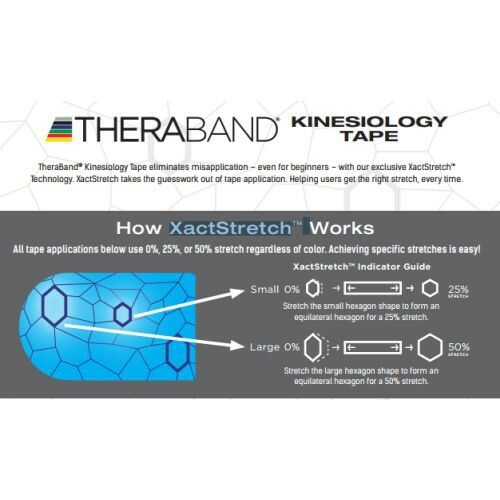 Push your body to the limit with TheraBand Kinesiology Pre-Cut Tape with XactStretch™ by Hygenic. 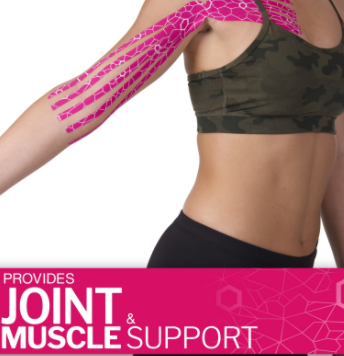 Kinesiology sports tape has been proven to support sore muscles and joints and reduce pain by applying rehabilitative taping techniques. There are specific tape applications developed by professionals to support the lower back, plantar fasciitis, knee, shoulder, Achilles tendonitis and neck. What sets TheraBand tape from other kinesiology products is its proprietary XactStretch™ that provides an easy guide to achieve the proper stretch every time. The hexagon shapes found on the tape is the stretch indicator guide and will grow to the shape desired to acheive the 25 or 50 percent stretch. Your healthcare professional will prescribe the amount of stretch you need. This makes it easy for beginners to apply the tape. 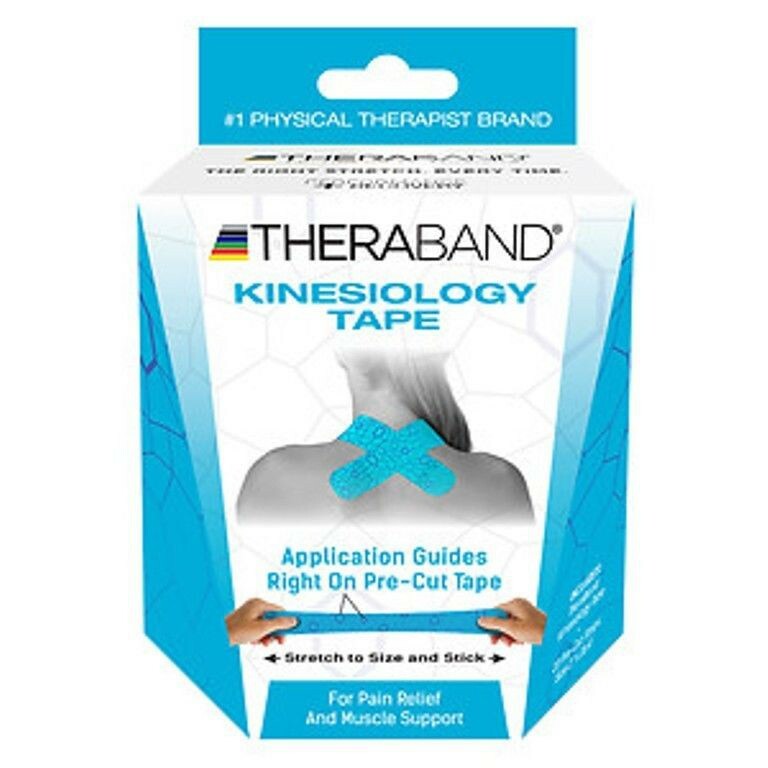 TheraBand Kinesiology tape is water resistant and latex-free to not cause skin irritation. The tape has been put to the test to show its effectiveness and its adhesive's staying power. In 2016, a 5-day study was conducted comparing TheraBand with KT Tape Pro and Kinesio Tex Gold. 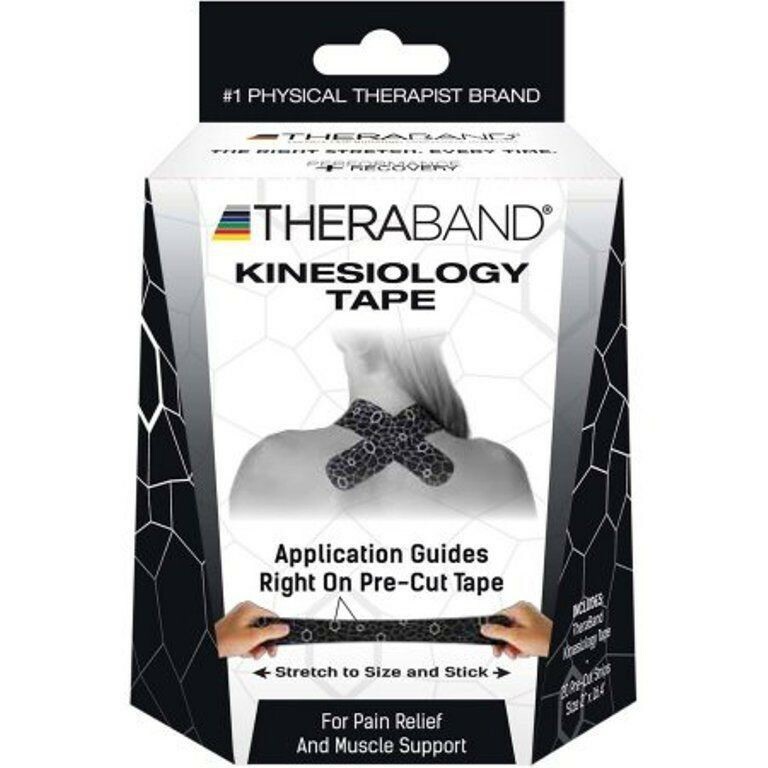 The findings found that TheraBand Kinesiology outperformed these competitors with tape maintaining support up to five days. Each pack comes with 20 strips available in a variety of color combinations. You may also be interested in the 2-inch standard roll that also has the XactStretch™ visual guide.